On September 15th and 22nd at 3pm Eastern Time respectively, The Purse Strings radio program welcomes Essence Magazine Washington D.C. Correspondent Cynthia Gordy and BabyCenter.com CEO Tina Sharkey. Cynthia Gordy, the first-ever Washington correspondent for ESSENCE magazine, will discuss the Michelle Obama factor and Mrs. Obama's impact on American women from a trend setting and marketing perspective on the "Purse Strings" radio program hosted by Maria Reitan on WebmasterRadio.FM Tuesday, September 15 at 3 p.m. Eastern time. As Washington Correspondent, Gordy is responsible for developing and maintaining relationships on behalf of ESSENCE with the Obama administration, as well as the First Lady's staff. She also writes a monthly column in the magazine and a daily "Obama Watch" section online. Gordy joined Essence magazine in 2004, and led their exclusive of the 2008 presidential campaign, scoring exclusive interviews with political leaders from both parties. "Cynthia Gordy has a front row seat on history in the making. As such, she's the perfect person to reflect on Mrs. Obama's halo effect," says Maria Reitan, PurseStrings host. "Tina Sharkey has made history herself. Her pioneering work prior to Babycenter created a template for others to follow in the social media space." Tina Sharkey, chairman and CEO of BabyCenter.com will appear on "Purse Strings" to discuss the lure of the BabyCenter.com challenge and the changes she's made to better connect with her women audience. BabyCenter is the Web's number one global interactive parenting network and has nurtured more than 100 million parents since its launch with a blend of expert advice and user-created wisdom. Since arriving at BabyCenter, Sharkey's mission has been to make BabyCenter the world's parenting partner. Previously, Sharkey pioneered AOL's instant messaging platform and co-founded iVillage. (WOW I, II & III) and Smart Beauty I, II & III consumer insights, the Essence Book Club, Essence.com, and ventures in digital media (mobile, television and VOD). For 39 years, ESSENCE magazine, which has a readership of 8.1 million, has been the leading source of cutting-edge information relating to every area of African-American women's lives. BabyCenter® is the Web's #1 global interactive parenting brand, reaching 78 percent of new and expecting moms online in the United States, and reaching 16 million parents monthly across 19 markets worldwide. BabyCenter, LLC operates http://www.babycenter.com, the largest online resource for expectant and new parents around the world, and has nurtured more than 100 million parents since its launch in 1997. BabyCenter® is available on the Internet in eight languages and has mobile applications available in English and Spanish. BabyCenter, LLC is based in San Francisco, California, and is a member of the Johnson & Johnson family of companies. "Purse Strings," hosted by Maria Reitan of Carmichael Lynch Spong, is a program focused on marketing to women. Why Women, you ask? Women are the powerful majority in this country, comprising 51% of the population and they are in charge of 80% of all spending, and this number continues to grow. Therefore, as marketers, business owners and advertisers… we need to pay attention to her. Purse Strings will help you not only pay attention, but will also allow you to listen and react. 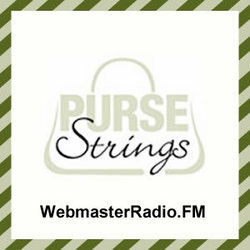 Purse Strings airs Tuesdays at 3pm Eastern Time. All episodes are available on demand in the WebmasterRadio.FM archives inside the Advertising Channel or through iTunes. If you're interested in being a guest on the show, please send requests to maria.reitan@clynch.com. About WebmasterRadio.FM WebmasterRadio.FM lifts the "veiled curtain" of the Internet, bringing the business community together through an interactive radio network. Its listeners are a global group, comprised of everyone from corporate executives and decision makers to small and mid-sized businesses and individual entrepreneurs. WebmasterRadio.FM's stellar line-up of radio programming includes "CoverStory" with Jiyan Wei of PRWeb, WebmasterRadio.FM's official newswire; "Market Edge" with W2/Racepoint Group Chairman Larry Weber; Fired Up! with Gordon Rudow of Bonfire Communications; "SEM Synergy" with Search Engine Marketing Industry Leader Bruce Clay and more. To tune into WebmasterRadio.FM's live content or check out the show lineup, please visit http://www.WebmasterRadio.FM. Carmichael Lynch Spong is one of the most decorated public relations firms in the world. It is the three-time recipient of "PR Agency of the Year" by national trade journals The Holmes Report and PRWeek. With its headquarters in Minneapolis and offices in New York, Boston, Denver and San Francisco, the firm represents a select portfolio of blue-chip clients. Carmichael Lynch Spong is a division of Carmichael Lynch Inc., which is owned by the Interpublic Group of Companies Inc. (NYSE: IPG), New York. Visit http://www.carmichaellynchspong.com for more information.